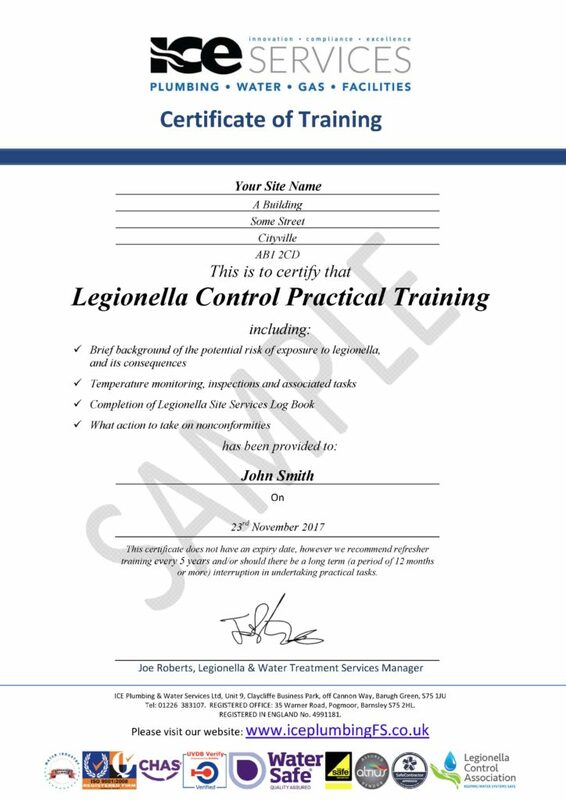 The Written Scheme sets out everything that you need to do to effectively control legionella. Individuals who have tasks to carry out as part of the Written Scheme should be suitably trained so that they can carry out their work safely in a technically competent manner. You may decide that the best approach for your business is to do some or all the tasks in house. When this is the case we can train your control team at the workplace so that they understand why particular tasks are required, what they need to do, what the results mean and how they can complete tasks safely and effectively. 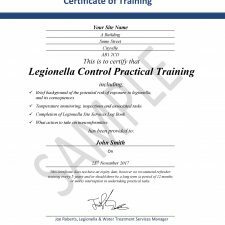 Our Practical Training is tailored to your Control Task Plan and which aspects of it you choose to carry out yourself. Certification of attendance is issued including details of training received.